Result of our collaboration with colleagues at CICY were presented at the "Congreso de Estudiantes de CICY" in April 2010 and at the Mexican Botanical Congress held in Guadalajara in November 2010 (link to poster). Congreso Mesoamericano para la Biología y la Biodiversidad. “Composición, abundancia y diversidad de palmas (Arecaceae) en la Península de Yucatán, México (participación oral, 2011). Alvarado-Segura, A.A., L.M. Calvo-Irabién, R. Duno de Stefano, José Luis Hernández-Stefanoni & H. Balslev. In prep 2013. 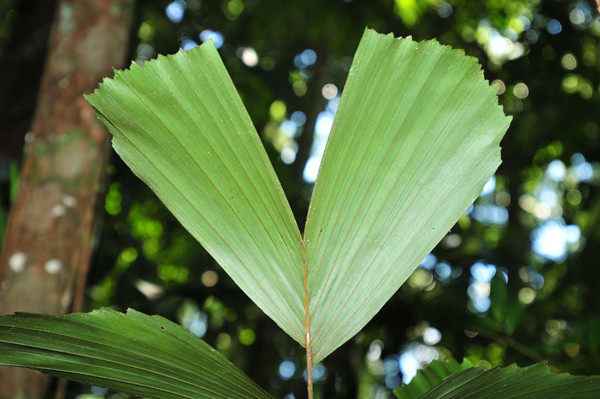 The effects of climate, soil and forest structure on palm diversity at different scales. Target journal: Journal for Vegetation Science. Henrik Balslev presented a poster on Ecosystems Services Provided by Palms in Souteast Asia at the SEA-EU-NET (http://www.colbud.hu/current/sea-eu-net/poster.php) meeting in Budapest by Henrik Balslev on 23-24th November 2010. Balslev, H.,. Knudsen, T.R., Byg, A., Kronborg, M. & C. Grandez.2010. 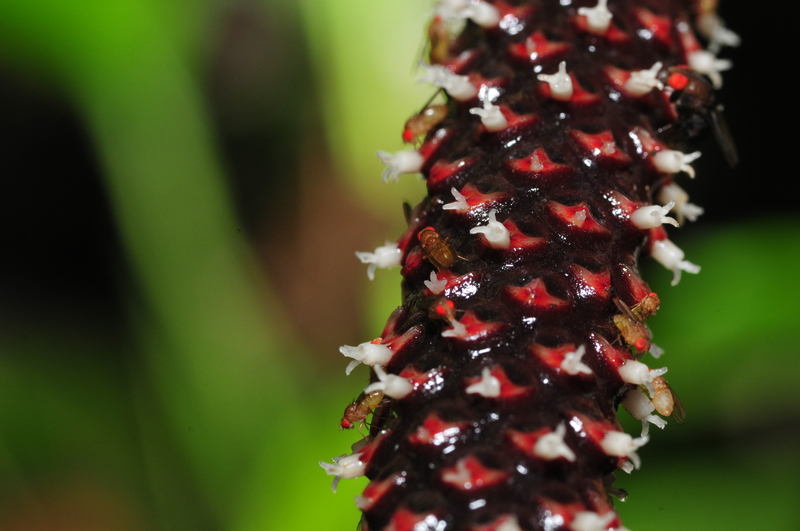 Traditional knowledge, use, and management of Aphandra natalia (Arecaceae) in Amazonian Peru. doi: 10.1007/s12231-009-9105-4 Economic Botany 64(1): 55–67. Balslev, H., W. Eiserhardt, T. Kristiansen, D. Pedersen & C. Grandez. 2010. Palms and palm communities in the upper Ucayali river valley – a little known region in the Amazon basin. PALMS 54(2): 57–72. Kristiansen, T., J.-C. Svenning, D. Pedersen, W. L. Eiserhardt, C. Grández & H. Balslev. 2011. Local and regional palm (Arecaceae) species richness patterns and their cross-scale determinants in the western Amazon. doi: 10.1111/j.1365-2745.2011.01834.xJournal of Ecology 99: 1001–1015. Kristiansen, T., J.-C. Svenning, W. L. Eiserhardt, D. Pedersen, H. Brix, S. M. Kristiansen, M. Knadel, C. Grández & H. Balslev.. 2012. 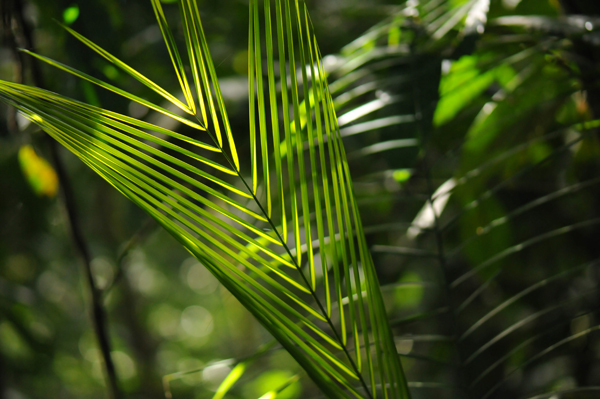 Environment versus dispersal in the assembly of western Amazon palm communities. doi:10.1111/j.1365-2699.2012.02689.x Journal of Biogeography 39: 1318–1332. Balslev, H., N. Paniagua Zambrana, E. Blacutt, M. Moraes R., M. J. Macía, A. Parada, Y. Inturias, Z. Perez, J. Teran, M Aliaga Arrieta, C. A. Grandez Rios & A. Serralta. 2012. Palmeras de los Leco y sus usos. La Paz, Bolivia. In 2012 we organized a joint expedition with colleagues from Turku University, Finland (Hanna Tuomisto, Kalle Ruokolainen) and from INPA, Manaos, Brazil (Thaise, Emilio, Gabriel Moulatlet, Fernando Figueiredo). The expedition lasted six weeks on the Rio Jurua in Amazonia. During the expedition we were able to collect data in 38 standard (5x500 m) transects along the 1000 km long stretch from Carauari to Eurinepe. Simultanneously our colleagues collected data in the same transects but relating to other plant groups (Ferns, Melastomataceae and Zingiberaceae). The project has as its purpose to determine to which degree different plant groups respond similarly or not to variation in ecological conditions. The streach investigated crosses a major geological border between the Ica formation (west) and the Pebas formation (east). The results are currently being analyzed for a research paper.